Tings Kathmandu The best hotel location in Kathmandu WE LOVE ART! We have a lot of artist friends, we love art and we have a Lounge – or a venue – with huge white walls and a lot of guests. And we love to surround ourselves with creativity. And with more than 25 years experience in working with Art & Culture, we feel we have something to share. Finally art & culture nurture the ambience we want Tings to have. So why not use this to promote the art and the artists we love?! That’s is what we decided to do when we started up Tings: Lend our walls to our artist friends and thereby give them an opportunity to promote them selves and their works. Since our opening we have been a part of all aspects of art. Photo, poetry, Street Art, Video, Film Festivals, Music, Work Shops and a lot more. Our Art@Tings exhibitions attract a lot of people. 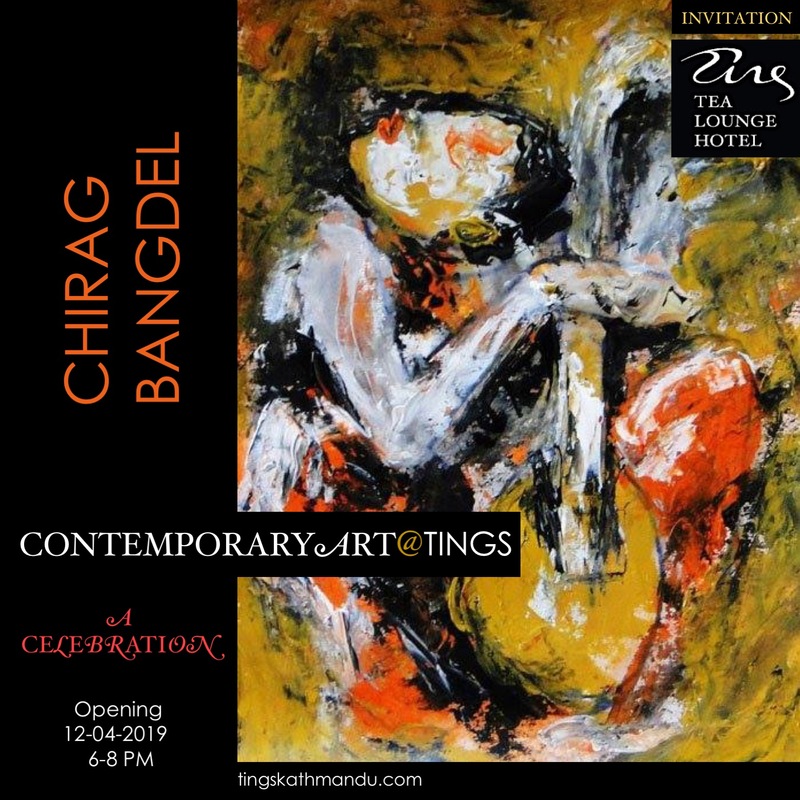 After 2 years and 10 exhibitions (click on the picture above) Art@Tings is established as Events within contemporary art. Today our events not only attract a big crowd of local art lovers. It’s also a unique and rare event for the guests who are so lucky to stay with us around on of the openings. How often do travelers get a chance to get an insight to the local art scene? We know that there are a lot of galleries in Kathmandu. And all of them has a lot of good art. But none of the galleries show exactly what we like. Mainly because the art exhibited are by Nepali artists only – or mostly. We believe that cultural exchange is an important tool to break down prejudices and build up tolerance. And that means a lot to us. And as mentioned above – we feel we have something to share. Something that makes a difference. Like the rest of the Tings activities – ART@Tings is international and about traveling – or crossing borders. We focus on art that cross borders… international art that will inspire artists living in Kathmandu and Nepali art with international potential. We do not charge provision from our artists – all money from the art sale goes to the artist. We very often buy art from the exhibitions. You’ll find it around in Ting – in the rooms, lounge or staircase or where we like to place it. Hopefully you’ll like what you see. If not – sorry. But the art we show is art we love. Like so many other things we start up Art@Tings has morphed into something completely different from the project we started up in 2011. Today Art@Tings is a virtual ArtConsultancy company that works across genres, borders and cultures. Posted in Art@TingsTagged FeaturedBookmark the permalink.